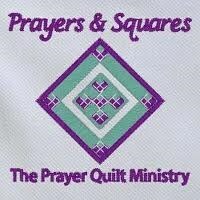 Prayers & Squares, the Prayer Quilt Ministry is scheduled to meet Thursday, April 18th from 10:00am to 3:00pm in Fellowship Hall 3, the larger part of Fellowship Hall where coffee hour occurs following worship services. Our usual meeting place, FH 1 & 2, will be “home” to the Family Promise families. If you’re able to stay for lunch at 12:30, please bring a bagged lunch and beverage labeled with your name, date and P&S, refrigerators are available in the kitchen. If you are new to our ministry, please know that you are welcome to observe, or to help another member with a task, or dive right in and get started! You may find an incredible new friend in the process. Another reminder: you may arrive any time after 10:00am, and are welcome to stay until 3:00pm or leave when your schedule call you to another place. You are never late and always considered a blessing!